Key System 987 on WRM track. Key System 987 is a home built, lightweight, steel streetcar with type M control. It is a double-truck, double-end, arch-roof car. This car was built by the Key System in their Emeryville shop in 1927. It was numbered 899 and was a copy of their other 900 series cars built by American Car Company. 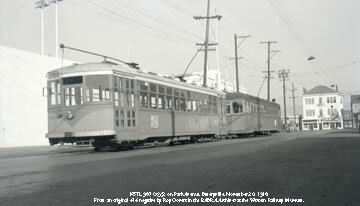 This series of cars was the first modern low floor flush platform cars of this size to run in the San Francisco Bay Area. It has been several different configurations over its career. It was a two-man car with double folding doors on both sides of both platforms. For a while it had couplers and could run in MU with other cars. 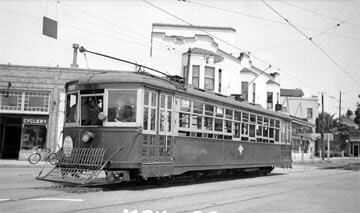 In 1930 the first car numbered 987 was hit by a train in Oakland and damaged beyond repair. Since that car was pledged to secure bonds, car 899 was renumbered to 987 to take its place as security for the bonds. As currently configured it is set up as a one-man car with the left hand doors disabled, but still in place. When the Association acquired the car in 1948 it had no place to store the car so it was shipped to the Portland Traction Company where it ran as PTC 4011 until it discontinued operation in 1958. Then it was returned to California and was stored at Colusa until the Western Railway Museum was established. 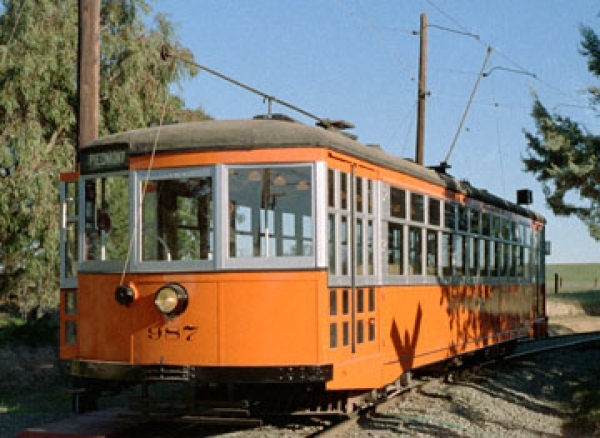 Car 987 was moved to Rio Vista Junction in November 1960, being the second car to arrive. Owners: Key System 987. Portland Traction 4011. 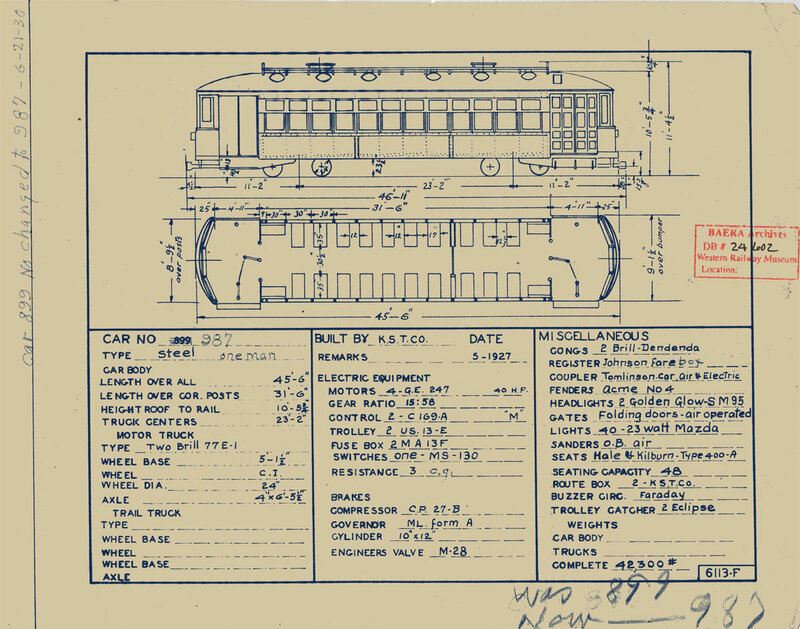 Technical Data: Lightweight steel streetcar car. Built by the Key System in Emeryville, Ca. shops in 1927. Seats 48 passengers. Weight 41,460 pounds. Trucks: Brill 77E2X. Wheels, 24-inch diameter. Axle. Journals, 4 1/4 X 8 plain bearings. Traction motors, 4-40 horsepower @ 600 VDC, inside hung. Air Brake Equipment: Westinghouse Traction Brake, SME. Motorman’s valve, M-28. Emergency valve. Relay valve. Double check valve. Brake cylinder. Dead man on controller and foot valve. Air compressor, General Electric CP-27. Dimensions: Width, 8’ 10”. Length over buffers, 46’ 0”. Height, 11’ 4 1/2”. Truck centers, 23’ 2”. Truck wheelbase, 61 1/2”. Propulsion Equipment: General Electric type M. Master controller, C-169D. Switch group, light weight type M. Traction motor, GE 247A. Gearing, bull 58 tooth, pinion 15 tooth, ratio 3.86 to 1, ? face. Control switch, MS-46. Power resistors. Misc Data: Trolley wheel, 6” More Jones. Trolley Base, US 13. Current Condition: The car is complete and in fair condition. 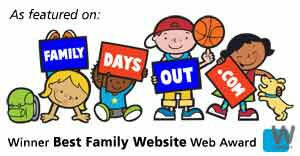 It is not in regular service due to worn wheels. One traction motor has a grounded armature, the crown sills are rotten and the trolley boards need to be replaced. Proposed Future Treatment: This car needs to have the deferred maintenance items corrected so it can be put back into service.